DID YOU KNOW? China has over 700,000 cities! 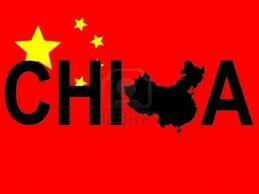 China has the largest population in the world, with over 1.3 billion people (1,343,239,923) as of July 2012. 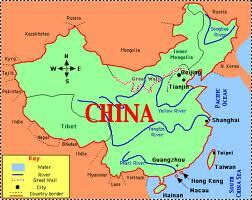 China is the 3rd largest country by area at 9,706,961 sq km (3,747,879 sq miles). China belongs to the continent of Asia. Bordering countries include Afghanistan, Bhutan, Burma, India, Kazakhstan, North Korea, Kyrgyzstan, Laos, Mongolia, Nepal, Pakistan, Russia, Tajikistan, and Vietnam. 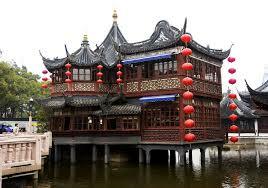 There are many different languages spoken in China, including Mandarin, Yue, Wu, Minbei, Minnan, Xiang, Gan and Hakka. 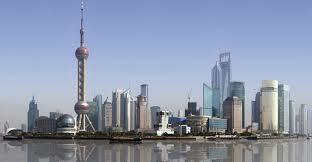 The capital city is Beijing, while the most populated city is Shanghai. Other major cities include Chongqing, Shenzhen and Guangzhou. 47% of the population live in urban areas. China experiences typhoons every year and also suffers from floods, tsunamis, earthquakes and droughts. 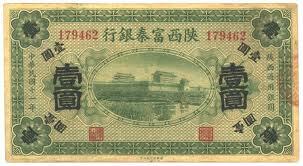 China is the second largest economy in the world, after the United States of America. In 2003, China became the third country to successfully send a person to space. The Great Wall of China is the largest man made structure in the world, stretching an incredible 8,850 kilometres (5,500 miles). The famous Giant Panda is found near the Yangtze River in China. China hosted the 2008 Summer Olympic Games in Beijing. For more information, check out maps of China or take a closer look at the Chinese flag. Did you know? : The great wall is wide enough to fit two cars on it!!! The great wall was made over 2,000 years ago. The great wall was made out of mud and stone hen the first empire lived. Some of the great wall is made out of bone. Some of the people think that the empire carved the people into the wall. There were people living in the Great Wall of China. The Great Wall of China could fit two cars. It took 80,000 people. The great wall was made over 2,000 years ago. The great wall was made out of mud and stone hen the first empire lived. 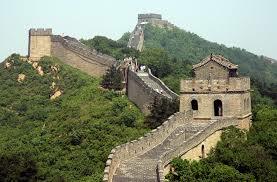 Some of the great wall is made out of bone. Some of the people think that the empire carved the people into the wall. There were people living in the Great Wall of China. The Great Wall of China could fit two cars. It took 80,000 people to build the Great Wall of China. The Terracotta Warriors were discovered on 29 of March 1974 by farmers that were digging east of Emperor Qins tomb, Shaanxi province. Scientists think that it dates all the way back to 210BC. It took around 700,000 workers to build it and it took thirty years to build. 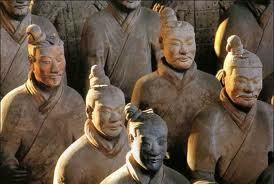 We think that they were built for The Emperor Qin so that he would have people to fight and defend him in the afterlife. Not one warrior has the same facial expression , or clothes. 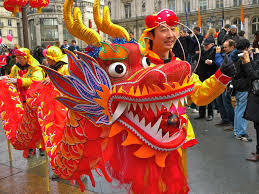 There seems to be 520 horses, 150 cavalry horses, 130 chariots, 8,000 soldiers along with strongmen, officials, acrobats and entertainment for Emperor Q in. The terracotta army figures were manufactured in workshops by government labourers and by local craftsmen, and the material used to make the terracotta warriors originated on mount Li. The head, arms, legs and torsos were created separately and then assembled. Studies show that eight face moulds were most likely used, and then clay was added to provide individual facial features. Weapons such as swords, spears, battle axes, scimitars, shields, crossbows and arrowheads were found at the pits of the terracotta warriors. Some of these weapons such as the swords are still very sharp and found to be coated with chromium oxide. This layer of chromium oxide is 10-15 micrometre thick and have kept the swords rust-free and in pristine condition after 2,000. The Chinese people love to eat different things then us. 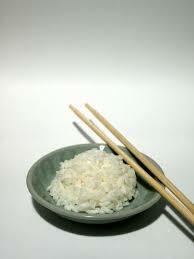 Their most popular food is rice which is in common with us. They grow rice in paddy fields, they also love noodles.They use chopsticks to eat almost everything. In markets they sell insects such as spider, cockroaches , centipedes , millipedes and bugs . They also eat starfish. Chinese people do not use knives and forks they think they are a term of a weapon . Instead they use chopsticks. In China, the city life is very modern these days. But many years ago, it was nice and quiet. But in the city, the air is bad. People have to wear masks that you might see doctors wearing. In the city, they have made over 40% of the phones in the world. In the city they have the tallest buildings in the world and I’m not just talking about small little houses I’m talking about big, gigantic, enormous I’m talking about skyscrapers . 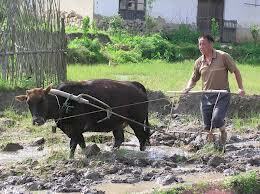 There is over 70,000 farmers in china. They bought most of Africas land to grow crops on. They have lots of decorations over houses and around paths. To cross they always use boats a very little of bridges around them. Their kitchens in houses are mostly little restaurants. They use wheelbarrows to store crops in and bring them to the houses or shops. At night time only some people have warm fires in the houses. It is better because in the city life has lots of gas and smoke. There houses are only little huts sometimes. 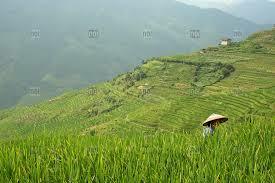 Lots of their jobs are to collect crops and farm. Country life is more peaceful and a quieter place. People from the country –side have to move to the city for jobs . China has lots of great inventions- take a ladle you use them for spooning soup and stew. You wouldn’t realize it but you always eat and use china’s stuff. 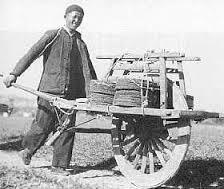 China invented a wheelbarrow, silk, ice-cream, and crossbow. About 40% of invention’s where made in china they are very modern coming to inventions! And the amount of money they make it’s unbelievable! China is very well known for all there inventions. They make and invent 40% of things made in the world. 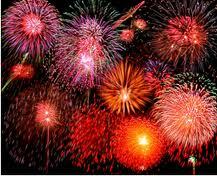 They invented lots of well known things like fireworks , matches , computers , paper , umbrellas and silk. They made silk by a silk worm. One day a women was drinking tea and a silk worm fell in and they saw threads coming out of the worm. 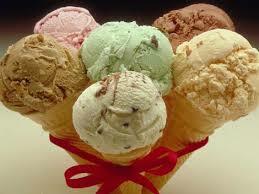 Here are some other things that they made wheelbarrows,icecream and crossbows. China has came up with lots of different inventions that we now use as everyday objects. 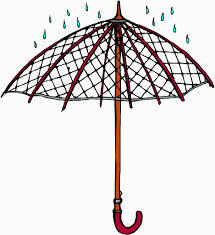 Things such as: paper and toilet paper , porcelain , umbrellas , wheel barrows and decks of cards. the correct recipe. Here are some pictures! !